I am Kesseke Yeo. I am a clothing designer and tailor from the Ivory Coast, West Africa. I am also an African dancer and musician. About Kesseke Yeo the dancer: For Kesseke dance is like a medicine. He started dancing at 7 years and at 11 he went to the Ivory Coast National Ballet and was there for several years dancing locally and touring around Africa and Europe. He also danced for Yelemba d`Abidjan and Ballet Djolem d'Abidjan, la Companie de Wouafou de Abidjan. In 2001 he moved to Vancouver and currently dances for Masabo Culture Company and his own group West meets West. 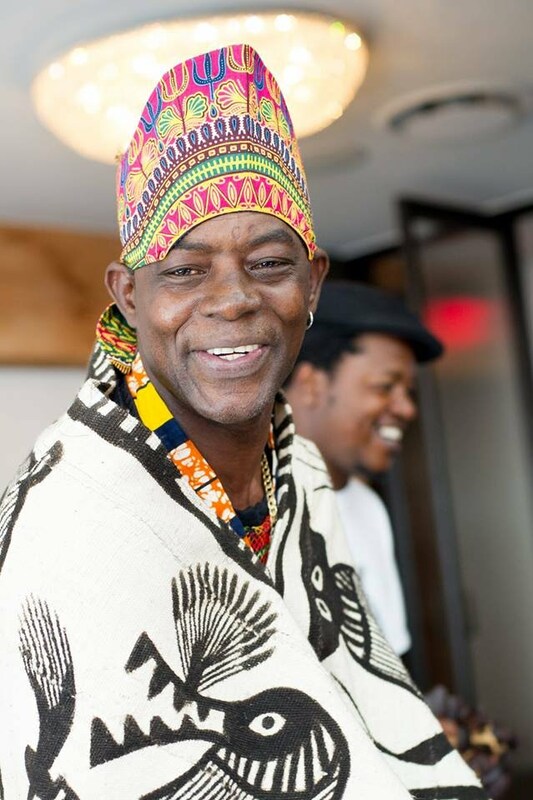 He also teaches West African dance in various dance studios in Vancouver. About Kesseke Yeo the designer/tailor: Kesseke began sewing in 1986 and by the age of 19 he opened his first store in Abidjan, the economic capital of the Ivory Coast. When he wasn’t dancing, he was sewing clothes for both the general population and for famous artists of Ivory Coast such Sakolo d’Abidjan and Yelemba d’Abidjan, and legendary footballer Lago Patrice. When he arrived in Canada, he wanted to continue pursuing his passion for designing. He was surprised to find however, that in a country that claims gender equality, there was a strong bias against men sewing and he was repeatedly told it was principally women who designed and sewed in North America. He has set out to prove that men in Canada can design and sew with the best of them and join the ranks of the famous men designers in Italy and France.